For your next party look, bow for it. 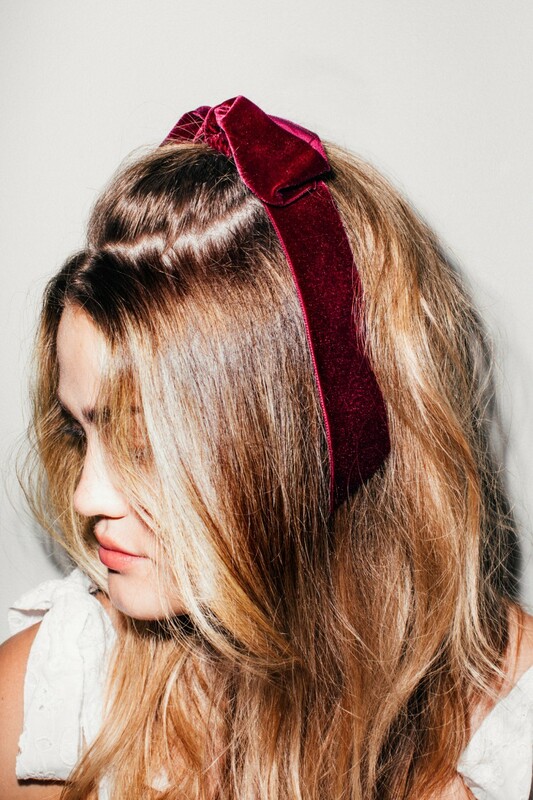 When it comes to hair accessories, consider us born again. Bobbles and bows used to feel cutesy, but now, with the right sophisticated twists, these little add-ons look romantic, artistic, and surprisingly grown-up. 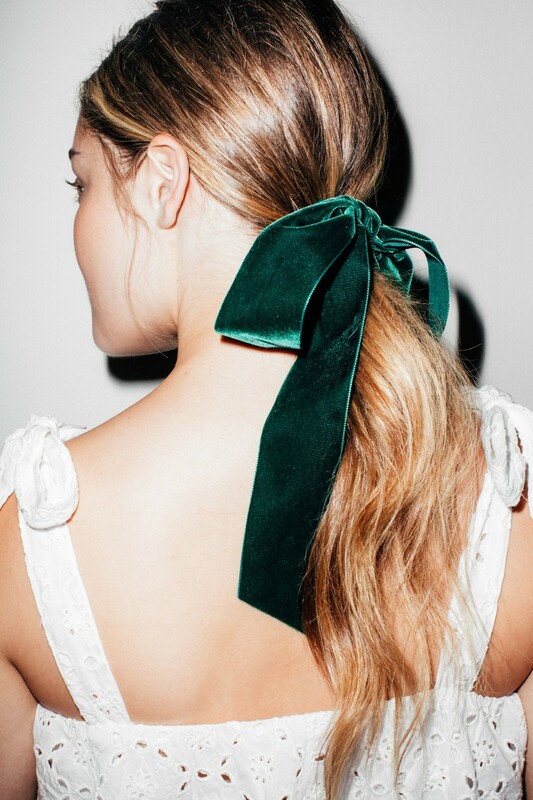 We’re particularly happy ribbons have become one of fashion’s favorite hair trends, not only because it gives us an excuse to go on a shopping spree in the Garment District, but because applying them is, admittedly, really easy. We called on New York City-based hair accessory master Allen Thomas Wood to create four super pretty hairstyles with velvety bows that work whether you’re headed to a wedding or down a runway. Below, find be-ribboned styles with hair up, down, high, and low. But before you start, the first secret to nailing your look is a good foundation. A lived-in texture looks cooler and keeps your bow from seeming “precious,” plus, texture really helps ribbons grip. Wood used Bumble and bumble Bb. Prêt-à-powder at the roots (“squeeze the bottle to make a cloud, rather than shaking it out,” he advises) and sprayed Bb.Thickening Dryspun Finish from roots to ends. Now, go get yourself a ribbon in every color under the sun, and tie one on. Before you make your low ponytail, back-comb the roots at the crown to get height, then use an elastic, which you’ll soon cover with a ribbon. To get the perfect bow, loop one side and wrap the other side around it, keeping the underside hidden. “The ends of the ribbon should be a few inches shorter than the end of your ponytail,” suggests Wood. To bring out a few soft bits around the ears, rub your hair at the temples. For this Brigitte Bardot-inspired look, there’s one trick you might not have thought of: “You could pull from the hairline, but it’s more flattering if you pull from a few inches back—it’s less severe,” says Wood. “Add more Bumble and bumble Bb. Dryspun Finish spray to the ends for the Bardot bedhead look.” Finally, he says, use your artistic eye to cut the lengths of the bow in a proportion that fits the width of ribbon and size of the bow. This may look like you just pin a pink bow to your bun, but it’s slightly more nuanced. 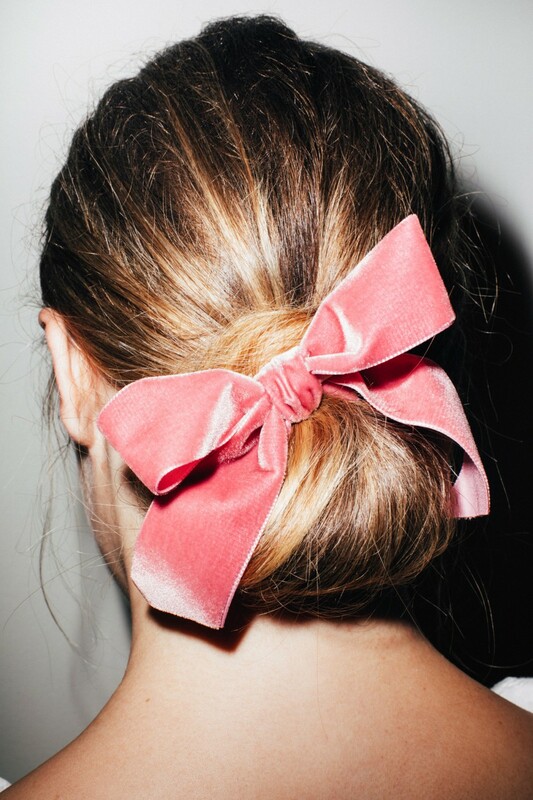 “First, tie the pink ribbon to a ponytail from underneath and make a small-looped bow,” he says. 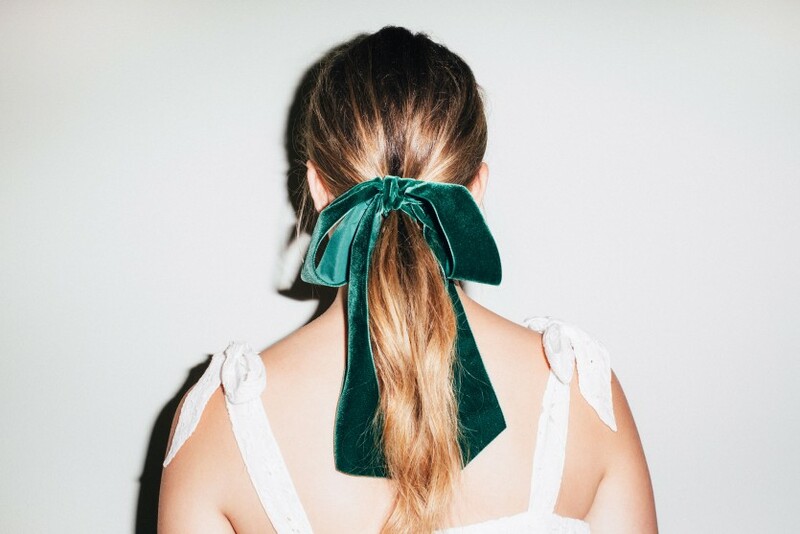 “Let the ends hang, and loop the end of the ponytail hair around the based of the bow into a coiled knot, then pin the hair in at the top, tucking the ends inside the loop.” To finish, cut the ends of the ribbon to meet the bottom of the bun and give the bow a jaunty little tilt.